Dementia steals loved ones, lives and memories; but it doesn’t have to be this way…. 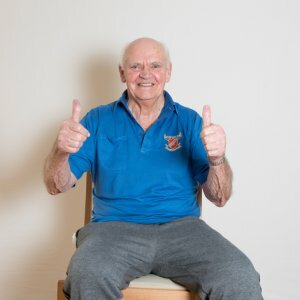 Our Love to Move Programme is an age and dementia friendly seated gymnastics programme which is transforming the lives of people living with dementia. 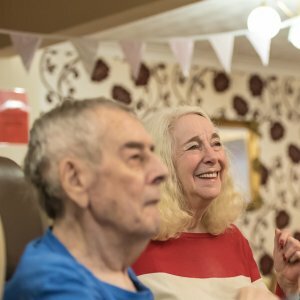 We are delighted to have been given National Lottery funding from Sport England for the Love to Move programme, so that more people living with dementia can be given the chance to get their independence back. With your generous support, you can still help more people to benefit from the Love to Move programme! 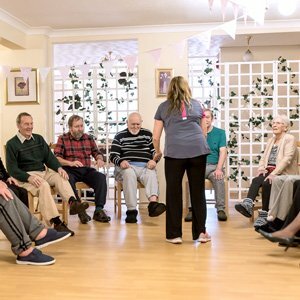 Just £55 can support a group of people living with dementia to enjoy a love to Move session. If someone close to you is living with dementia, you will naturally want to do everything you can to help them to enjoy life as much as possible. 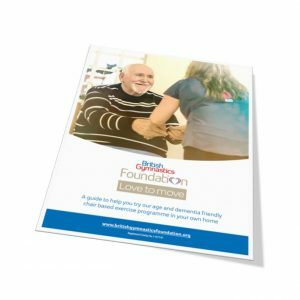 Our exercise booklet is available to help you try our love to Move programme in your own home with your loved ones, containing some of the key exercises from the programme inside, as well as more information about why our programme is working. 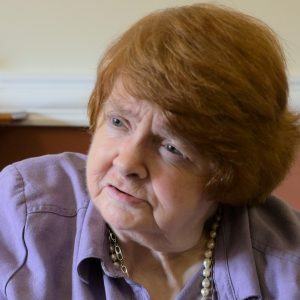 The Love to Move Programme has helped Jean regain her independence. Jean wanted the chance to tell us about her story. She explained that she used to be a resident in the care home as she had lost some mobility and a lot of independence. She said it was our programme that made all the difference and helped her to get her independence back again and help her to get home again. What makes our programme so effective? To receive updates on our Love to Move programme, please enter your name and email address below. Please tick here to receive information by email on training to deliver Love to Move or if you're an organization wanting to partner with us. Tick here to confirm that you are over the age of 13.